Children’s crafts help teach children about other cultures in addition to being fun and boosting creativity and visualization skills. Crafts like this can be helpful additions to lesson plans about other countries or fun educational activities at home. One country with abundant crafts is Peru. Its long, active history and rich, colorful present are perfect for capturing children’s attention. The Nazca Lines are lines on the plains of Peru that create pictures when viewed from high in the sky. No one knows for sure who made them; some Peruvians believe they are pictures for the gods to view. Children can create miniature versions of these lines with construction paper, glue and sand. Each child draws an animal, person or other object from nature on construction paper using simple outlines and general details. Then, the children follow their pencil lines with a bead of white glue and cover the paper with sand. The sand can be brown or colored craft sand; whatever the children prefer. When the glue dries, the children shake off the excess sand leaving only the sand that stuck to the glue that outlined their Nazca lines. Before Peru existed as a country, Native American tribes lived in South America. 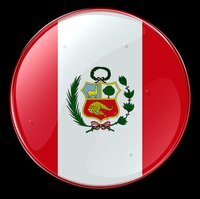 The ones that lived in modern-day Peru were the Incans. They created large step pyramids for ritual and royal use. Miniature models made of Styrofoam are very easy for children to make. They first cut 10 foam squares, each ½ inch smaller than the last, and glue them on top of each other. Centering the squares creates a step effect. Plastic silverware helps children carve lines representing bricks and stair railings on all four sides of the pyramid. A tiny cardboard box with rectangular niches cut in the edges serves as a structure on top of the pyramid. Children paint the structure grey and decorate it with tempera paint symbols and tiny fake vines and tropical flowers made of wire and colored tissue paper. Finger puppets are a simple and easy-to-carry way of telling stories. Actors can change out characters quickly and make a dozens of them from few materials, making these puppets popular among Peruvian children. Your children can make them, too, from some felt, liquid stitch and some other supplies. A small cylinder of felt secured with liquid stitch serves as a base for each puppet while a flesh-colored pom-pom makes each head. Googly eyes help the puppets see and small beads serve as buttons and decorations. Children make traditional cloaks and hats for their finger puppets from pieces of yarn an felt, gluing them to the puppets with liquid stitch. Yarn also serves as hair and pink or red yarn could be smiles. Children may make entire finger puppet families, including llamas and alpacas from faux fur.